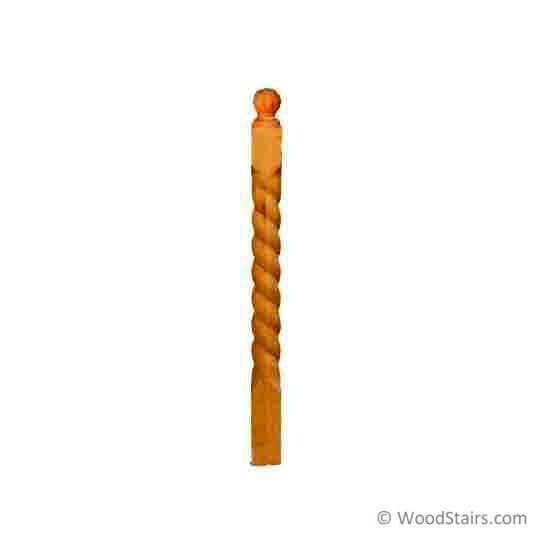 This Braid Series Standard Block Newel Post is 3.5″ x 56″. It is the longest utility newel in this series, used in Post-To-Post railing systems at the start of stairs or on floor levels either surface mounted or below the floor line. It is one of our custom in house designs and unique to our company. It is the braid design with distress and character markings. We turn these in our own mill here in the U.S.A. 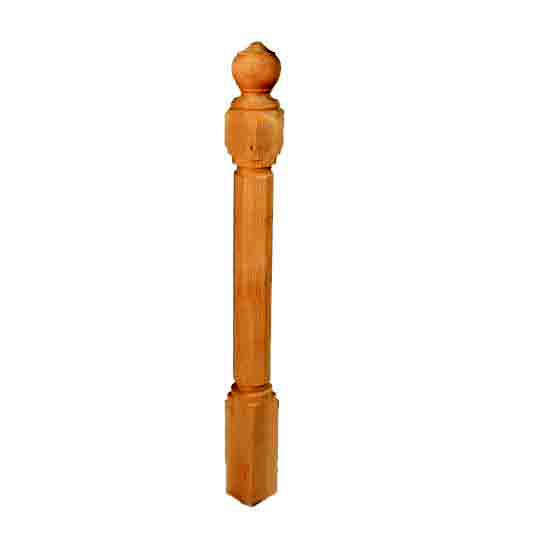 This post is also available with any of the different tops shown on other post or in the pin top or dowel top applications or long block for a transition post. We can take this style and adapt it to whatever you need, since we turn it in house. 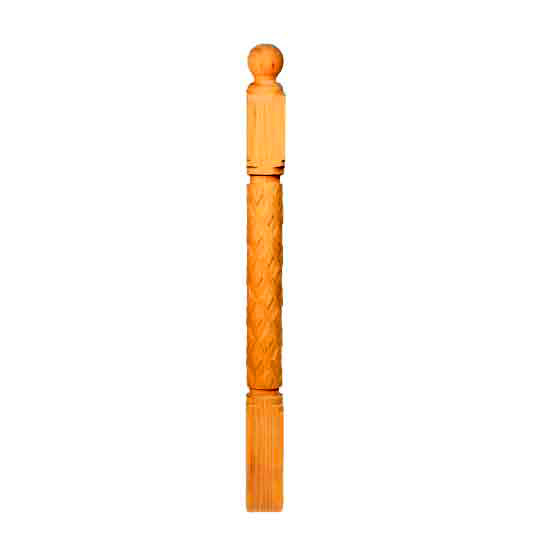 We also can turn 1 1/4″ and 1 3/4″ wood balusters to match! For custom designs or wood balusters to match, please call one of our stair professionals standing by now at 888-390-7245!